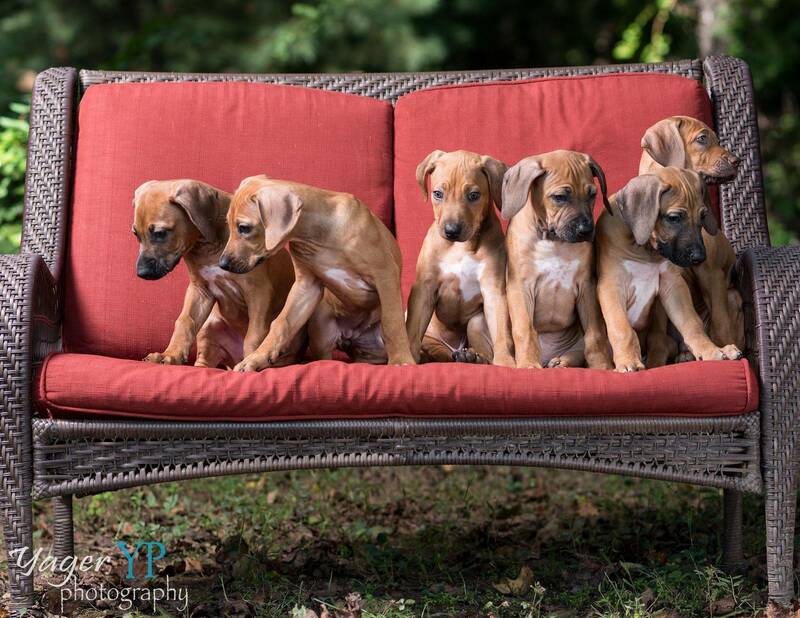 Now I offer this... if ONLY "Reputable Breeders" were producing puppies and ensuring that these puppies went only to responsible homes, our animal shelters would be empty. Very few people actually own a well bred, quality dog from health tested parents. It is unfortunate that many miss out on owning a healthy, long lived animal because they choose to shop online for a puppy. Why Do You Think You Should Breed Your Dog? I have many people that contact me asking about breeding their dog. If you are interested in breeding your dog, here is the information that I will offer you. Why: What specific reason do you have for wanting to breed your dog? You want a puppy from your dog: If you want to breed your dog because you want a puppy from him/her I'm here to tell you that the puppies he/she produces may be nothing like him/her. You want to make your money back: There are many many things that can go wrong when breeding. To begin with, you need to spend several hundreds of dollars just to complete health screenings prior to breeding. If your dog fails any of the health screenings... you shouldn't be breeding your dog. You want your kids to see the miracle of birth: It's not pretty. It's messy. You will be exhausted. Emergencies can happen in an instant and your dog could end up in serious health trouble or even die. You think your dog is handsome/beautiful: Let's be honest... everyone thinks their dog is the most beautiful canine on the face of the planet. Unfortunately, beauty does not equal correctly functioning or healthy. If you are not interested in proving that your dog is worth breeding, by evaluation at dogs shows, then you should not be breeding your dog. The only reason you should want to breed your dog is because you feel he/she has something valuable to contribute to the gene pool. Remember the statement at the top of the page about preservation and protection... you should be willing to sacrifice this if something goes wrong. First off you need to start with a quality dog that has been bred responsibly with health tested parents and several generations of Performance/Conformation Champions. I don't mean four or six generations back, I mean... your dog's sire and dam should be show champions and of quality conformation. This means they have been evaluated and have proven their worth to be bred. You should purchase the best dog you can afford to buy. There are reasons why a specific dog does not finish a championship. For example, a dog could have been injured or had some sort of accident preventing it from showing or performing. In either case, the dog should still be able to pass health testing prior to any breeding. There is no reason why at least one parent shouldn't have a Conformation Championship prior to breeding. Remember also... even though you may have brought home a show-quality puppy, that does not necessarily mean that the dog you have is show quality or even breeding quality. If you plan on showing and breeding your dog, you absolutely cannot skimp on socialization and training when the dog is a puppy. For the dog to be a confident adult you need to lay the groundwork when they are puppies. This means getting them out of the house to see and experience the world. Attending dog shows when the dog is a young puppy is very important. There are several breeders who have been breeding for a very long time and are listed as mentors. They are listed on the RRCUS website. Contact one of them and ask them to mentor you. You need someone to guide you in the right direction when it comes to making decisions on whether your dog is of breeding quality or not. A mentor can offer advice on researching pedigrees and they are a wealth of knowledge when it comes to showing and performance. Most breeders would be willing to evaluate your dog and give you advice on whether they feel your dog would be competitive in the conformation ring. Plan on attending breeding and health seminars. There several good ones out there. Some are put on by vet schools and some by senior breeders either in our breed or others. There is also a health seminar put on my the AKC. Learn as much as you can about breeding, whelping and the care, structure and nutrition of dogs. Either before or during the time you plan to show your dog is when health testing should begin. Be aware that some of the tests require the dog be at least 24 months in age before they will give a final decision on a particular test. The National breed club does have a list of required testing that must be completed. Testing takes time and money. Some tests are required to be completed annually. Be prepared to travel to attain your dog's conformation championship. This takes time and money. My last dog that I showed took about six months to complete the championship. I traveled at least two weekends out of every month until we were finished. It was a lot of time on the road, and in hotels. You will need to go to training, both for you and your dog. You both need to learn how the show ring works and what is expected of you and your dog. You should have a well socialized dog who is rock solid in all situations. If you so choose you may hire a professional dog handler to show your dog. Although I do recommend you show your own dog at least a few times for socialization purposes. I would wait until the dog is completely matured to send it to show with a handler. One of the biggest things to consider when breeding your dog is money. It is not cheap to show your dog. It is not cheap to complete your dog's health testing. It certainly is not cheap to whelp a litter of puppies and care for them until they are eight weeks old. Can you afford to take the time off of work that you need to properly care for a litter of puppies? Sometimes even the best intentions can be fraught with disappointment. Your dog can end up not being able to pass health testing, failing any number of tests (sometimes even though the dog's parents both passed). Your dog could suffer a catastrophic injury making it unable to breed. Your dog could have trouble attaining it's championship. Your dog could have trouble whelping a litter and could die in the process of whelping. Your dog could die after you whelp the litter leaving you with eight tiny puppies that need around the clock care. Your dog could whelp a healthy litter, and then puppies succumb to a virus at seven weeks of age. You could lose puppies to a multitude of things such as bad/rancid food, illness, suffocation or any other birth abnormalities. There are so many factors that play into what it means to breed a litter of puppies or breed a dog responsibly. Doing the right thing for the right reasons can make or break a good breeder. Your goal should be to only breed to improve upon the breed either for performance or conformation.